Just in time for Thanksgiving weekend in the United States... 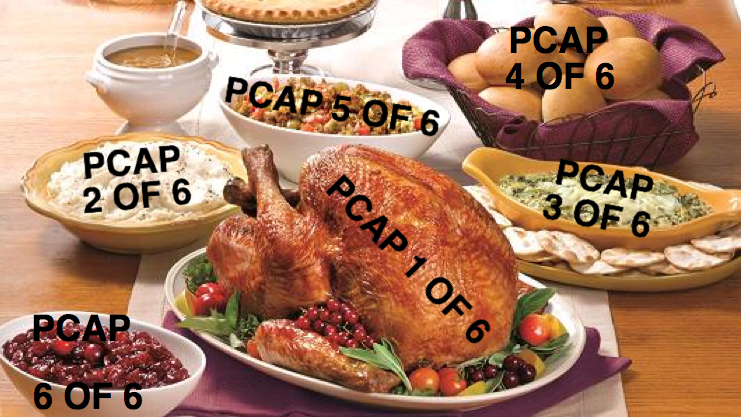 It's a feast of pcaps! You might think it's too hard to juggle these, but I'm not asking much. Shown above: Official image of this month's traffic analysis exercise. Shown above: Alternate image of this month's traffic analysis exercise for US participants. Pcap 6 of 6 is the only one using Windows 10, which I saved for last, because many people don't like it, regardless of how it's prepared. Just figure out what's going on in each pcap. Feel free to submit the pcaps to VirusTotal or PacketTotal to see what alerts might trigger. 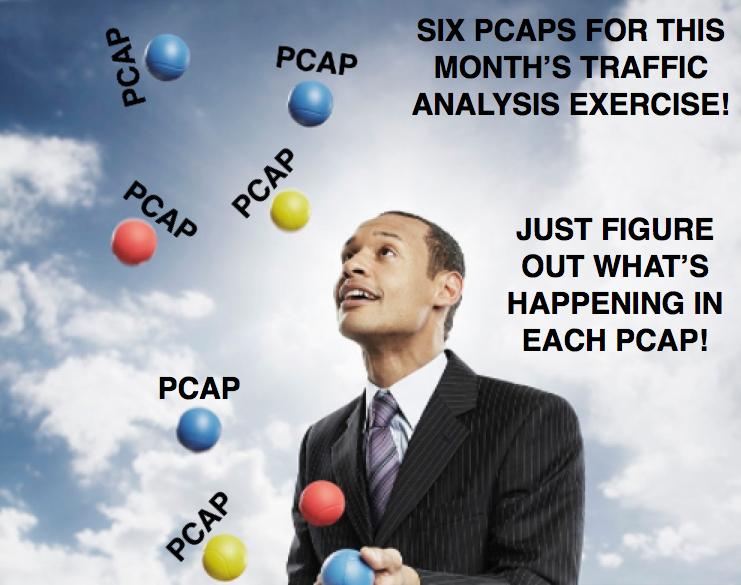 Each pcap has something I've covered before in my regular blog posts.